Why Do Realtors Recommend You Get A Home Inspection? Why Do Realtors Recommend You Get A Home Inspection? Our team has a list of preferred home inspectors, and we do this for a very good reason WE USE THEM OURSELVES and for our families. We can all walk through a home and see a few red flags now and then but a good and qualified home inspector sees so much more than we ever could. We recommend an inspection on all of our sales doesn't matter if it is new construction or distressed property sold "as is where is". The cost of a good inspection is nothing compared to what can turn up after the sale and without any warning in our opinion. 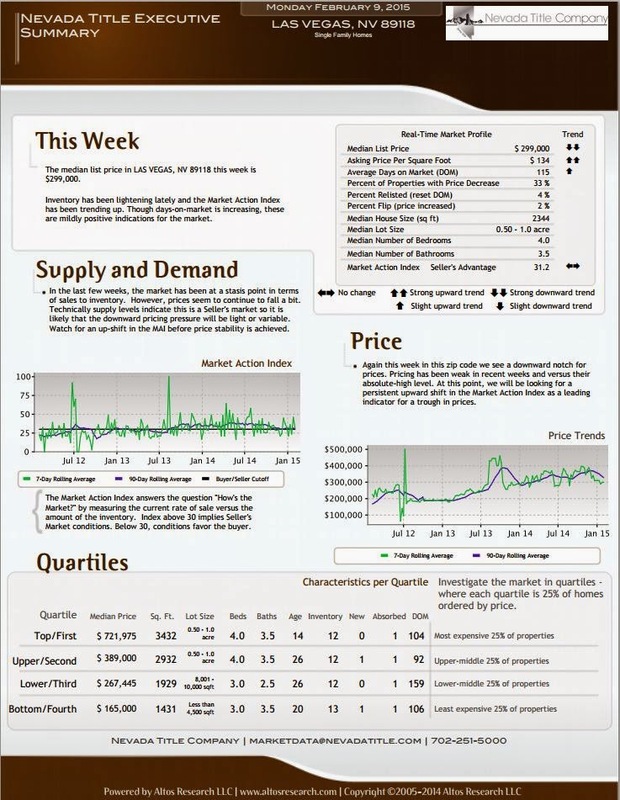 January 2015 Current Market Report For Las Vegas Zip Code 89113. 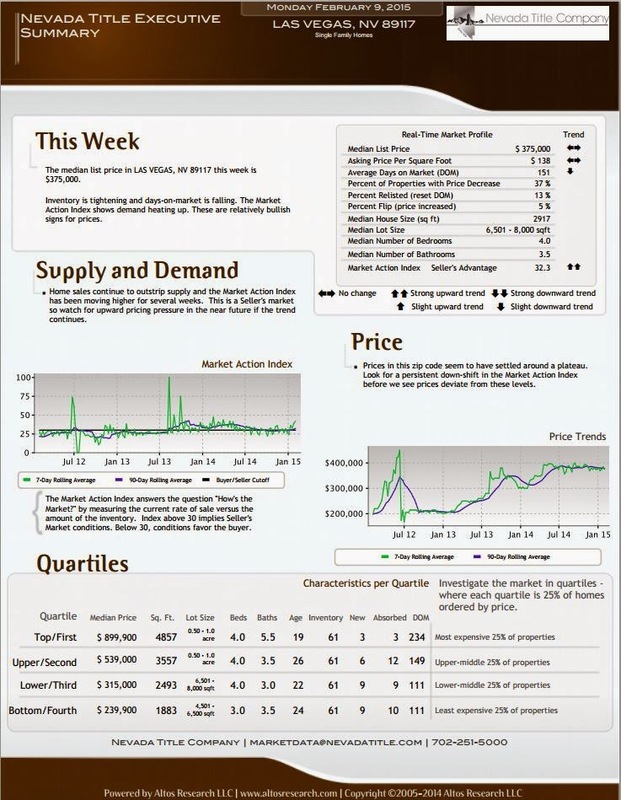 January 2015 Current Market Report For Las Vegas Zip Code 89122. 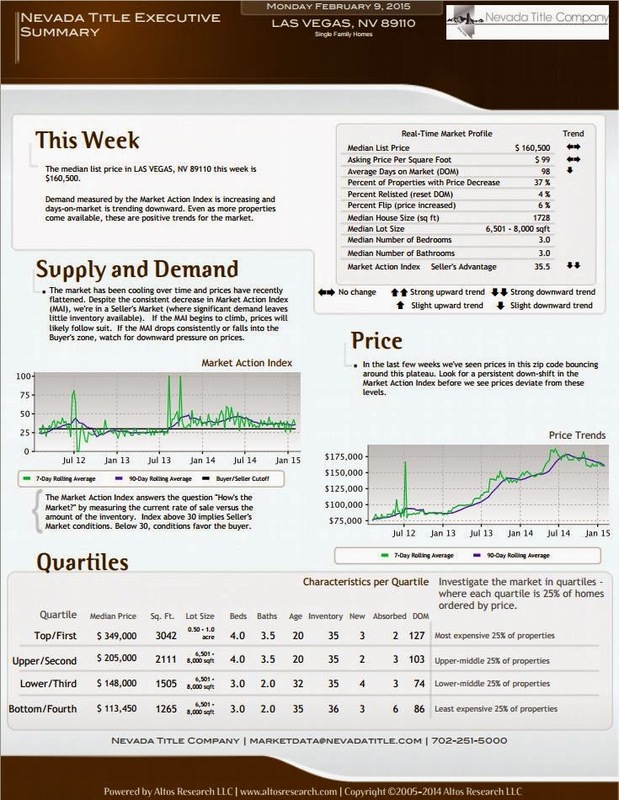 January 2015 Current Market Report For Las Vegas Zip Code 89115. 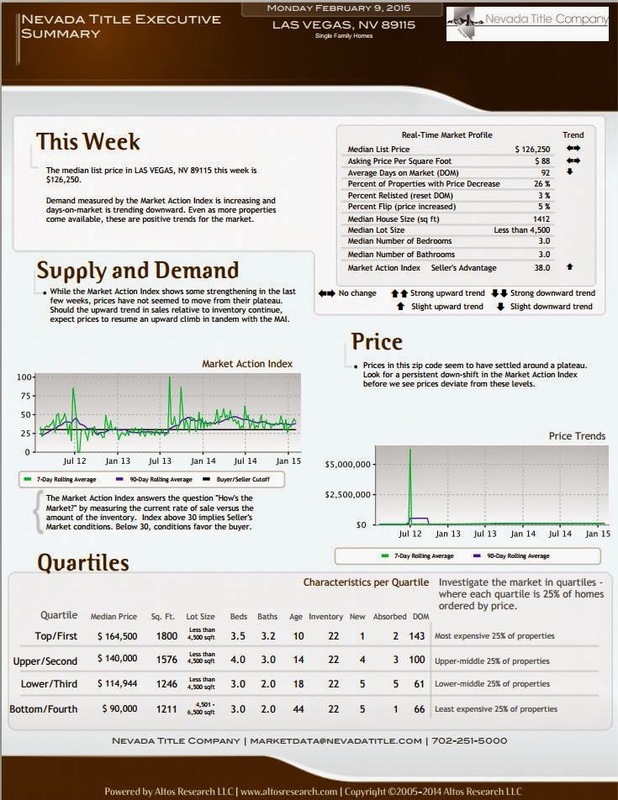 January 2015 Current Market Report For Las Vegas Zip Code 89121. 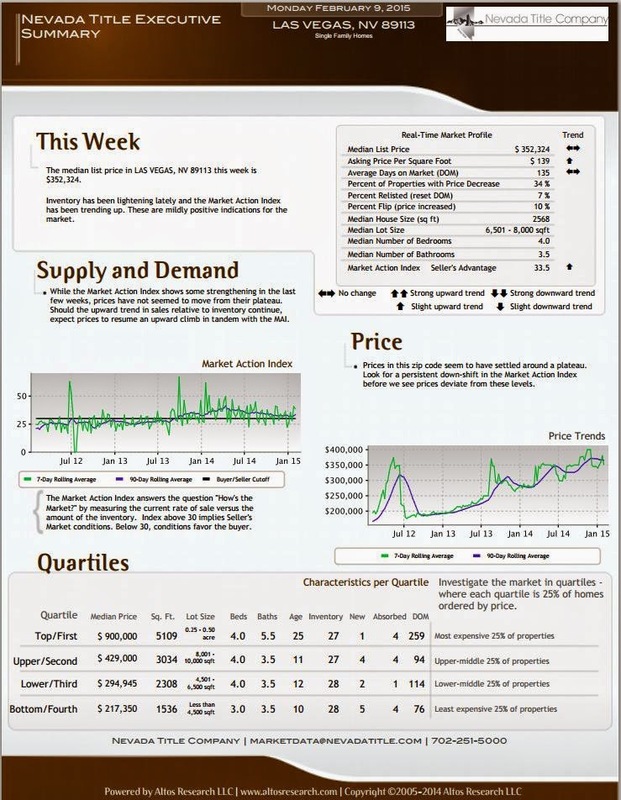 January 2015 Current Market Report For Las Vegas Zip Code 89117. January 2015 Current Market Report For Las Vegas Zip Code 89118. January 2015 Current Market Report For Las Vegas Zip Code 89110.